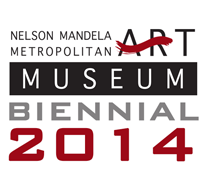 The Nelson Mandela Metropolitan Art Museum Biennial is the Eastern Cape’s most prestigious art exhibition. Over the last seven years this selected exhibition and award has promoted thirty-five top established artists and new signatures. This year the NMM Art Museum re-launched the Biennial as a curated exhibition which recognizes artists who have produced a substantial body of work and have significantly contributed to the Eastern Cape art profession. The Biennial Exhibition was born out of the desire to foster local talent and artistic excellence and to present a noteworthy contemporary exhibition of Eastern Cape art. Art professionals from across South Africa were invited to participate in this important visual arts event by nominating artists they felt had significantly contributed to the Eastern Cape art scene. The selection committee comprised: Dr Melanie Hillebrand (Director, Nelson Mandela Metropolitan Art Museum), Uthando Baduza, (Chief Curator of the Red Location Art Gallery), Mary Duker (Acting Dean, Faculty of Arts, Nelson Mandela Metropolitan University), Gregory Kerr (Director, Greg Kerr Fine Art) and Jeanne Wright (artist and fine art journalist). Selected artists are Dorothy Barnes, Cleone Cull, Maureen de Jager, Beverly de Lange, Christine Dixie, Derrick Erasmus, Charmaine Haines, Anthony Harris, Nic Hauser, Lydia Holmes, Tim Hopwood, Christiaan Kritzinger, Alhyrian Laue, Carla Leisching, Nomusa Makhubu, Brent Meistre, Nigel Mullins, Siyabonga Ngaki, Susan Opperman, Jennifer Ord, Monique Pelser, Tanya Poole, Marc Pradervand, Stephen Rosin, Dolla Sapeta, Zach Taljaard, Jonathan van der Walt, Rat Western. Practicing artists from the selection panel were also invited to submit a work to the exhibition, Greg Kerr accepted and is exhibiting as well. Two young South African artists Nicholas Hlobo and Athi-Patra Ruga have also being invited to participate on this prestigious exhibition.